At Our Creations MedSpa in San Antonio, TX, we offer a wide range of relaxing spa treatments, ranging from gentle facials to bio-identical hormone treatments. Each of the treatments is specifically tailored for your needs and unique skin type. At our San Antonio medical spa, we provide facials and chemical peels that balance your skin and provide you with a refreshing glow. After a custom evaluation of your skin, our esthetician will recommend a proper course of action that is both effective and gentle. Our facial procedures may include deep cleansing, exfoliation, and extractions, depending on your skin's specific needs. Our medical spa in San Antonio also offers chemical peels that reveal a healthier, more youthful complexion. A chemical peel is a resurfacing procedure in which a chemical solution is applied to the skin to peel away the top layers. Chemical peels treat wrinkles, skin discoloration, and acne scars, typically on the face. A chemical peel can be performed alone or in combination with other cosmetic procedures, based on the desired results. Are you looking for laser treatments at our MedSpa? The Cynosure Elite laser treatment is comprehensive system safely removes unwanted hair, reduces unsightly veins, and eliminates pigmented lesions. Discover a wide range of industry-leading clinical treatments at our comfortable and relaxing medical spa. San Antonio customers should contact us today to learn more! At Our Creations MedSpa, we're committed to helping people overcome obesity using prescription grade human chorionic gonadotropin (HCG). Losing weight with HCG is a safe and effective method for shedding pounds and inches. Paired with our unique low calorie diet plan, you'll find HCG treatments at our medical spa in San Antonio, TX, to be a fast and effective way to lose weight. 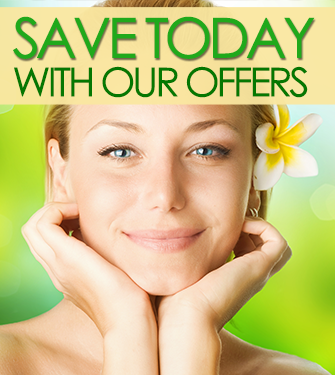 Discover a younger, healthier you at Our Creations MedSpa. Contact our San Antonio MedSpa today to learn more about our rejuvenating treatments, including Botox®, Juvederm®, and other services. We proudly serve San Antonio, New Braunfels, Converse, Leon Valley, Boerne, Live Oak, Spring Branch, Texas Medical Center, Alamo Heights, Helotes, La Cantera, and Stone Oak, TX. Discover a younger, healthier you at Our Creations MedSpa. We provide our clients with customized, non-invasive procedures that refresh the body while relaxing the mind. Our wide range of spa services and customized treatments will meet your specific needs. We proudly serve San Antonio, New Braunfels, Converse, Leon Valley, Boerne, Live Oak, Spring Branch, Texas Medical Center, Alamo Heights, Helotes, La Cantera, and Stone Oak, TX.